As a kid, I was obsessed with Christmas. I’d plan it for the family in February, invite Nan and Granddad in March, and then start my letter to FC by June at the latest. By November it was all I could talk about, but every year, without fail, I would get sick the week before. I normally spent the 22nd and 23rd in bed or throwing up, and the rest of the family would worry that I’d ruin Christmas. I always made a miraculous recovery on the 24th, and by Christmas Day it was like I’d never been ill. I’d been so nervous and excited about the big day, that I made myself sick. After all of that, you would think that 25 December would be the best day of the year for me. After the initial excitement it was actually when I was most miserable. I’d built it up so much that it was always going to be an anti-climax, and by the time lunch was finished, I was already mourning the fact that it was over, and that by the time next Christmas came along everything would be different. As you will know if you have read any of my previous posts, my approach to the Mont Blanc Marathon was very similar, so both Camilla and I were worried that the event would not live up to expectations, and that the comedown would be sharp and severe, as it was after my first Ultra in 2013 (Falling Feels Like Flying). Thankfully, it went better than I ever could have imagined, and was one of the best experiences of my life. As soon as we got close to the Alps I understood what Lizzy Hawker had said to me a few weeks before (Training Weeks 8-10), as I instantly fell in love with the mountains, and the only negative thought I had was to question why the hell it had taken me so long to get here. I was completely mesmerised by Mont Blanc, and could have quite happily sat and watched it for the whole weekend, if I had not found myself in a running geek’s paradise. Every other shop in Chamonix seemed to be a sports shop, and it’s the only place where I haven’t had funny looks for wandering around in quad guards, calf guards and long socks, particularly as so many people were here for one of the races. There was also a good chance of bumping into an ultra-running legend with Seb Chaigneau, Max King, Emelie Forsberg and Killian Jornet, among others, in action. I think I may have gone a little tweenager at a One Direction concert at one point, as Camilla threatened to make me an “I’d go gay for Killian Jornet” banner. The events started at 4am on Friday with the 80km and the Vertical Kilometre in the afternoon. Saturday was the mini-cross (cutest race I have ever seen), 23km cross and the 10km, with the marathon finishing off the weekend on Sunday. Every race was impeccably organised and incredibly well supported, even for the pack of 80km finishers running through the town at 10:30pm, the 7-year olds on Saturday morning and the start of our race at 7am on Sunday. The six of us that made team Up & Down Runner (I got them t-shirts so they had no choice), were involved every day, with Charlotte and Charlie doing the Vertical Kilometre on Friday and joining Camilla in the 10km on Saturday, and with me, James and Andy doing the marathon on Sunday. This helped my preparation greatly, as it not only kept me busy, but seeing the incredible support at each race and sharing the relief and elation of finishing made me even more excited, and less nervous about the challenge itself. Admittedly I did let the nerves get the better of me on Saturday night, but when I woke up at 4.30 on Sunday to eat breakfast they had all gone. Aided by an unexpected and touching note from our host for the weekend (who also happens to be my boss), I succeeded, possibly for the first time in my life, to block out all of the negative thoughts; the panic that I had not done enough training, the likelihood of breaking an ankle or falling off a ledge and the inevitable post-race crash. Whatever had happened before, and whatever was going to happen during the day, was irrelevant, all I could do was start at the start, and keep going until I stopped, and try to enjoy myself while doing it. I’m going to put a detailed race report in a separate post, as there is far too much to say here, but as many of you will know already, I completed the race in 6:54:10, a devilish 666th out of the 2012 finishers, and I enjoyed every single minute. Me, the person that had never been near a mountain before, runs like a chicken, hated running up hills, consistently found new and more stupid ways to injure himself (Injury), that is scared of “mushrooms and Moomins and hedgehogs”, at least according to Freddie* and that, less than 18 months ago, would have ended his life if he was not a prisoner in his own bed. I hope that this doesn’t come across as a lame attempt at false modesty, as I only mention these things to show that you should never underestimate yourself – if I can do this, imagine what you can do. Admittedly, I could not have done any of this without the right medication, therapy, and the support of friends, family, and indeed all of you that are reading the blog. But, on the start line and for those 7 hours, it was mainly just me against myself (or Alan, to be precise). Have I beaten him? No. But with each step I was winning, and all that matters now is that I keep focusing on putting one foot in front of the other. *He’s right about the Moomins. What the hell are they, why does Little My live with them and what is the big-eyed fisherman all about? 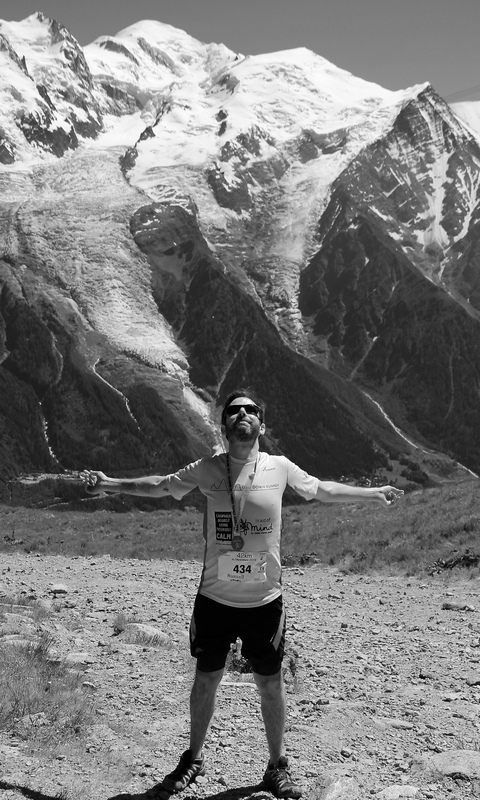 Posted on July 5, 2015 July 5, 2015 by updownrunner	This entry was posted in Depression, Marathon du Mont Blanc, Mont Blanc Marathon and tagged Chamonix, marathon du mont blanc, Mont Blanc Marathon, mountain running, race, Running, trail. Bookmark the permalink. Yet another inspiring,funny and courageous piece of writing by the Up. & Down Runner . I am so proud of you and how far you have come. Moomis are aubergines, perfectly safe as long as you salt them. Well done, excellent stuff.